The U.S. American singer/songwriter, Folk, alternative Country and Americana singer Lucinda Williams was born January 26, 1953 in Lake Charles, Louisiana. She started her recording career in 1978 and until 2017 she had released 14 albums in total. 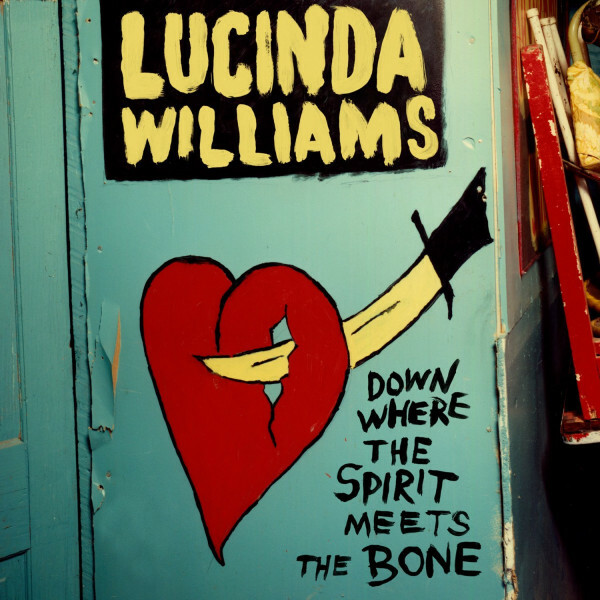 In 2011 Lucinda Williams has won the 'Lifetime Achievement Award (songwriting)' and her album 'Down Where The Spirit Meets The Bone' became 'the album of the year' in 2015. Besides these awards she has won three 'Grammies' for 'The Best Country Song 1993', the 'Best Contemporary Folk Album 1999' and with the song 'Get Right With God' the 'Best Female Rock Vocal Performance 2002'. She had guest appereances with countless artists and bands like Chip Taylor, Little Milton, Kasey Chambers, Bonepony, Sue Foley, Ray Wylie Hubbard, Steve Earle to name a few. Kundenbewertungen für "Down Where the Spirit Meets The Bone (3-LP)"